When You Say, "I do!" 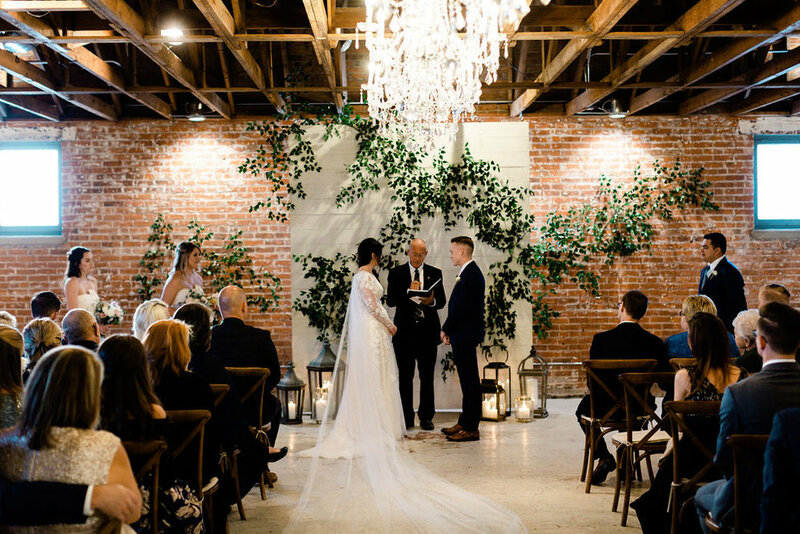 The ceremony space features original brick walls and wood ceiling trusses and chandeliers. An oversized vintage garage door adds to the warmth and charm of the bygone era of the early 1900s. Whether you have a wedding of 125 or 250 the space is flexible enough to make both you and your wedding guests feel right at home. This is what it looks like when everything old is new again! The St Vrain was built in 1918 as one of the earliest auto dealerships in the Rocky Mountain region. The ceremony space is upstairs in what was originally the showroom. The combination of brick, wood and concrete provide the perfect backdrop for an intimate wedding ceremony that reflects the two of you! Choose from our backdrops or create your own! Your vision is the limit! We'll leave the guest list up to you, but to make the rest of your big day easy we include the services of a Facilities Manager who is there to make sure you and your guests are cared for and comfortable. That means all you have to do is be the beautiful bride!